Nephrite is a type of Jade and has ancient uses as a stone used to attract love. Carved into a butterfly, in China it is a powerful symbol used to draw love. 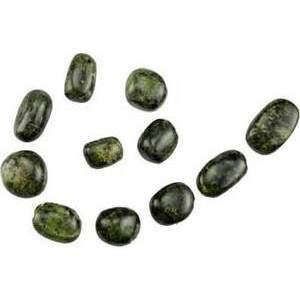 As a green stone it is also used widely to Create a positive attitude towards money. A common use of the stone in this regard is to simply hold the stone while meditating or contemplating your use of money in a resonsible and purposful way and then carry that stone with you.